Kim Dotcom talks to media after casting his advance vote in the 2014 general NZ election in Auckland on September 3. (CNN) -- Everything Kim Dotcom does is mega. He's a mountain of a man with an imposing multi-million dollar fortune, amassed through a series of Internet ventures, which is now being spent on ambitious bid to unseat the current New Zealand prime minister. Dotcom's story starts in 1974, when he was born Kim Schmitz in Germany. 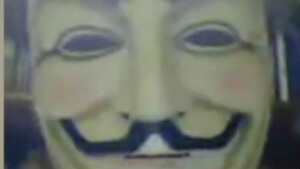 He first attracted the attention of authorities in his early 20s when he was convicted of a number of offenses, including computer fraud. He's now wanted by the U.S. for alleged copyright infringement on a grand scale. According to indictment filed in 2012, Dotcom -- who legally changed his name -- and six associates are accused of being members of "a worldwide criminal enterprise" dubbed the "Mega Conspiracy." Through a number of websites, including cloud storage company Megaupload, they're accused of reproducing and distributing copies of copyright works including "motion pictures, television programs, musical recordings, electronic books, images, video games, and other computer software." The enterprise is estimated to have made $175 million, and deprived copyright owners, including Hollywood production houses, of more than $500 million in revenue, according to the U.S. Department of Justice. Dotcom maintains Megaupload was merely a file storage site, and the company should not be held responsible for the content users were uploading. "I should never have been charged criminally for a civil case. The charges are outrageous and wrong. The case against me is a contract prosecution for Hollywood," he told CNN. In January 2012, New Zealand police, acting in conjunction with the FBI and U.S. Department of Justice, launched a Hollywood-worthy raid on the sprawling property Dotcom was leasing in Auckland, New Zealand. 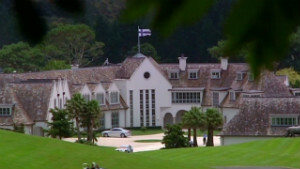 According to a New Zealand police statement, officers swooped on "Dotcom Mansion" in two marked helicopters, and had to cut their way into a safe room where the multi-millionaire had taken refuge -- a version of events that was later contested in court. Dotcom has called the raid "needlessly theatrical" and a further attempt by U.S. authorities to smear his image. He and three associates were arrested and are all still fighting efforts to return them to the U.S. The next hearing is scheduled for early 2015. During the raid, officers seized 18 luxury vehicles, including "several top end Mercedes, a Rolls Royce Phantom Drophead Coupe and a 1959 pink Cadillac," the police statement said, adding to the image cultivated by Dotcom of being a big-spending lover of luxury. The estate he was leasing and later bought -- one of the most expensive in New Zealand -- is a monument to wealth. According to a journalist who visited the property in 2012, it was a "$24 million suburban castle with ponds, a tennis court, several pools, a Vegas-style stairstep fountain, and a hedgerow labyrinth." On his Twitter profile, Dotcom describes himself as an "entrepreneur, innovator, gamer, artist, fighter, father of five." Mona Dotcom appears at Auckland High court on May 21, 2014. This year he separated from his wife of five years, Mona Dotcom, who was recently photographed in an Auckland nightclub with Prime Minister John Key's 19-year-old son, Max. She told the New Zealand Herald that the teenager happened to be at the same club. "I didn't know him and had never met him before. He's kind, and we had a fun night together," she said. On Wednesday, Dotcom tweeted to his 366,000 followers: "Mona Dotcom parties with John Key's son. Can my life get more bizarre? Where's the guy who says "You've been punk'd?" 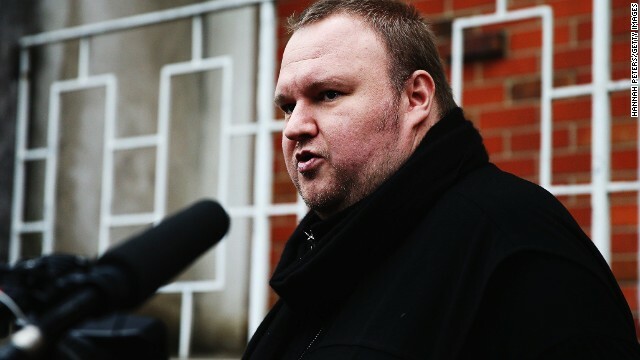 The 2012 raid on Dotcom's property set off a wave of legal proceedings, pitting the entrepreneur against New Zealand authorities, who had responded to a U.S. call for help to find the alleged fugitive. At issue was the legality of police search warrants and the FBI's seizure of electronic information. This year, a New Zealand appeals court ruled the raid was legal, however the seizure of electronic data was not. Months after the raid, an investigation by the Inspector-General of Intelligence found that the nation's spy agency -- the Government Communications Security Bureau (GCSB) -- had conducted illegal surveillance on Dotcom before officers moved in. At the time of the raid, the GCSB only had jurisdiction over foreign nationals; Dotcom was granted residency in 2010 and should have been protected, the prime minister said in a public apology. "I apologise to Mr Dotcom, I apologise to New Zealanders because every New Zealander that sits within the category of having permanent residency or is a New Zealand citizen is entitled to be protected from the law when it comes to the GCSB, and we failed to provide that appropriate protection for him," Key said. Every New Zealander that sits within the category of having permanent residency or is a New Zealand citizen is entitled to be protected from the law when it comes to the GCSB. The law has since been changed to make such surveillance legal, a development which has, in part, prompted Dotcom to join the political realm. Earlier this year, Dotcom launched his own political party, the Internet Party, which aims to "modernize New Zealand, give the Internet generation a voice in politics, become a leader in the Internet economy and fight for Internet Freedom," he said. It's teamed up with Maori nationalist campaigners, the Mana Party, to contest the national election on September 20. Because he's not a citizen, Dotcom can't stand as a candidate but he's put his financial clout -- some $4.5 million -- behind what some see as an unlikely coalition in attempt to chip away at Key's political power. In an opinion piece for CNN.com, Dotcom said under Key's leadership, the country had "quietly morphed into the political equivalent of an American slave, responding more readily to the interests that motivate the United States than to the concerns of Kiwis." On Monday -- five days before the vote -- Dotcom has promised to reveal potentially damaging information on Key and the country's role in international surveillance. However, he said he's not confident the revelations will dent Key's popularity. For his part, Key has said he's "not losing any sleep" over potential revelations from his new political rival. New Zealand can decide for itself on Monday, when Dotcom is scheduled to address the media. Whatever the reaction, it is clear Dotcom intends to remain a thorn in the side of the New Zealand government for some time to come.